The Estuary at Jupiter Dunes is a gated community of townhomes with a 1 car garage sitting on a par 3 golf course. Walk to the beach from the Estuary. The Estuary has two and three bedroom townhomes with some two bedrooms also having loft areas and a vaulted ceiling. They range from 1,150 sq. ft to 1,350 sq. ft with the loft area to 1,650 sq. ft for the three bedroom townhomes. There are only a few 3 bedroom townhomes in the community. 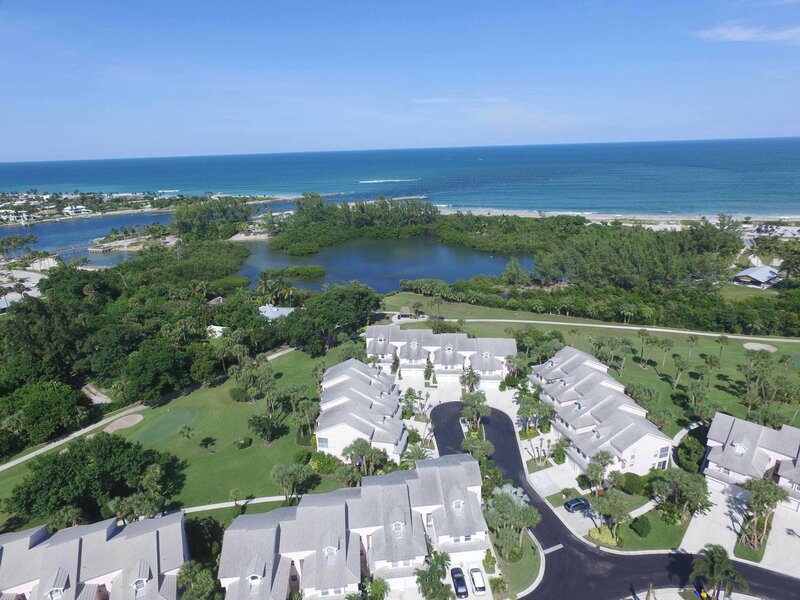 Browse listings for available Estuary condos, or Read more about these Jupiter condos. They are one of a few Jupiter pet friendly condos that allows large dogs for owners only. They have a community pool area and a gate to access the beach. You are a short walk from 3 Jupiter Parks, including Jupiter Inlet Park, Dubois Park and Carlin Park. The Estuary is a short walk to the ocean. The community is well maintained and some of the townhomes have great views of the golf course or the estuaries that run through the community. The par 3 -18 hole course is a separate entity and can be a fun tuneup for your short game. 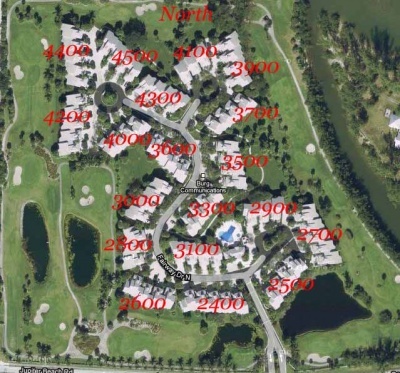 There are 19 buildings with 154 townhomes in the Estuary at Jupiter Dunes. Pickup trucks and motorcycles must be garaged. Owners can have any size pets ( 2 max) and the leasing policy is 60 day minimum twice per year. Don't miss the Estuary at Jupiter Dunes. The other Jupiter Dunes condos sit across the street next to Ocean Trails Jupiter which are oceanfront condos on the sand. They are very different buildings from the Estuary but are surrounded by a golf course as well. You will find more Jupiter golf communities with full size courses and club houses. Take a look at Abacoa homes in Jupiter which features a full size course. 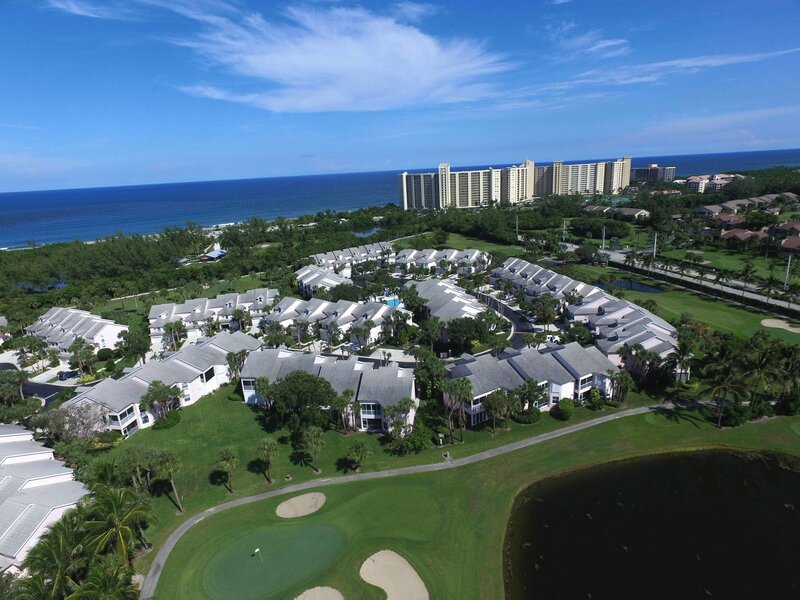 The location of the Jupiter beach condos always make them popular. 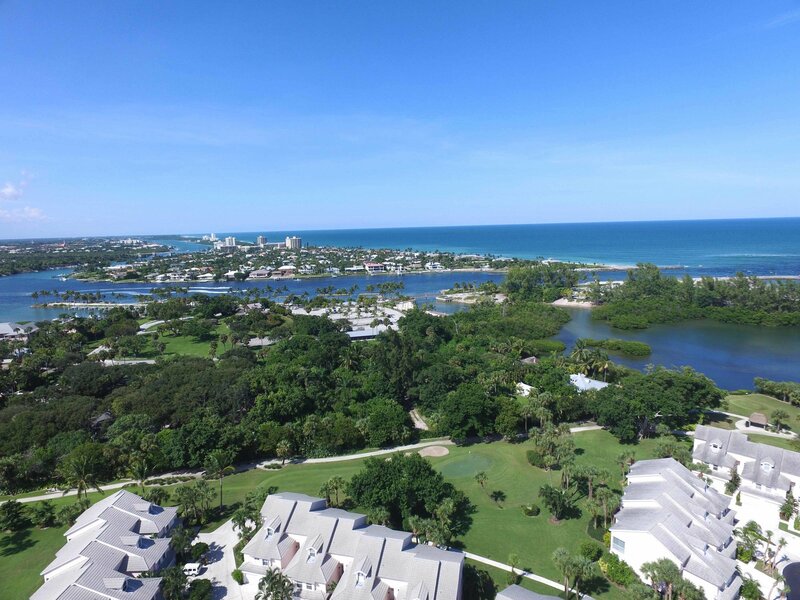 With a close proximity to the beach, County Parks, Jupiter Inlet and of course the Jupiter Riverwalk the Estuary is a great location. Surrounded by a golf course there is also a new putt-putt golf course called Lighthouse Cove walking distance from the community. Within walking distance is 5 restaurants, a bar on the water which overlooks the Jupiter Inlet and Lighthouse and a boat rental facility which also rents paddle boards. The Maltz Theater is walking distance as well if you want to spend an evening at the playhouse. You will love the proximity of the Estuary while on vacation or living there. If you have any questions about homes in the Estuary in Jupiter or surrounding communities, please don't hesitate to email or call Jim at 1-561-744-7025 for assistance.